We told you guys that since the http://littlebitjohnny.blogspot.com /2016/07/sad-airtel-bblite-n000-unlimited.html" target="_blank">Airtel BBLITE unlimited tweak stopped working yesterday that we have another browsing tweak that is in the pipeline waiting to be fully cooked and unleashed for your continuous free browsing delight. This time around we are moving onto another network and it is no longer airtel but we will be dropping the latest Glo unlimited free browsing tweak and still on android with Psiphon that is currently blazing like thunder. No wonder we love the Psiphon android app so much because it is serving its full purpose whenever you put it to work. This particular Glo free browsing tweak is a typical case of when one door closes, another door opens; in other words, MTN BBLITE tweak closed long time ago, but Etisalat BBLITE tweak opened. Again, when the Etisalat BBLITE tweak closed, the Airtel BBLITE tweak opened and now that Airtel BBLITE tweak has closed, we have opened up another door and this is Glo free browsing tweak. Must Read: http://littlebitjohnny.blogspot.com /2016/06/could-there-be-again-another-browsing.html" target="_blank">Could there be any browsing tweak as juicy,stable and durable like MTN BBLITE tweak? · Secondly if you already have Psiphon app on your device and did not download the one above, then it is necessary you clear your Psiphon app data to keep it afresh. · Go back now to your Psiphon homepage and select tap on Start (Inject) button below and then wait for it to connect. In less than 10 seconds it will connect and you can now minimise and fire up any of your browser. 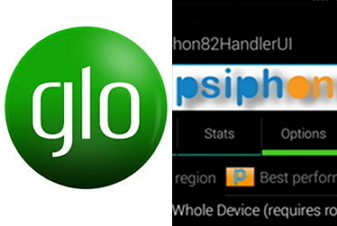 You have finished reading Latest Glo Free Unlimited Browsing With Psiphon Tweak Rocking Like Thunder and many articles about Tech Gallery in our blog this, please read it. and url link of this article is https://littlebitjohnny.blogspot.com/2016/07/latest-glo-free-unlimited-browsing-with.html Hopefully discussion articles on provide more knowledge about the world of new tech gadgets.